Ethics is not about putting obstacles in people’s way, but about fundamental success principles for a prosperous and peaceful society. Science, technology and our inventions have allowed us to dominate the Earth and everything that lives on it. What kind of fundamental values may be guiding us in the densely connected, digital society of the future? The most important rule is to increase positive externalities, to reduce negative ones, and to be fair. Science, technology and our inventions have allowed us to dominate the Earth and everything that lives on it. By now, we have increasingly understood what the side effects and impacts of our man-made interventions are. Therefore, it is now time for an ethics that makes us fit for our future. So, what kind of fundamental values may be guiding us in the densely connected, digital society of the future? 1. Respect: Treat all forms of life respectfully; protect and promote their (mental, psychological and physical) well-being. 2. Diversity and non-discrimination: Support socio-economic diversity and pluralism (also by the ways in which Information and Communications Technologies are designed and operated). Counter discrimination and repression, prioritize rewards over punishment. 3. Freedom: Support the principle of informational self-determination; respect creative freedom (opportunities for individual development) and the freedom of non-intimidating expression. 4. Participatory opportunities: Enable self-determined decisions, offer participatory opportunities and a choice of good options. Ensure to properly balance the interests of all relevant (affected) stakeholders, particularly political and business interests, and those of citizens. 5. Self-organization: Create a framework to support flexible, decentralized, self-organized adaptation, e.g. by using suitable reputation systems. 6. Responsibility: Commit yourself to timely, responsible and sustainable actions (or omissions), by considering their externalities. 7. Quality and awareness: Commit yourself to honest, high-quality information and good practices and standards; support transparency and awareness. 8. Fairness: Reduce negative externalities that are directly or indirectly caused by your own decisions and actions, and fully compensate the disadvantaged parties. 9. Protection: Protect others from harm, damage, and exploitation; refrain from aggressive or war-like activities (including cybercrime, cyberwar, and misuse of information). 10. Resilience: Reduce the vulnerability of systems and increase their resilience (e.g. through decentralization, self-organization and diversity). 11. Sustainability: Promote sustainable systems and long-term societal benefits; increase systemic benefits. 12. Compliance: Engage in protecting and complying with these fundamental principles. To summarize the above even more briefly, the most important rule is to increase positive externalities, to reduce negative ones, and to be fair. 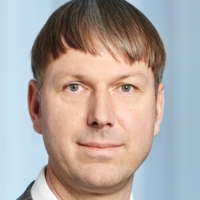 Dirk Helbing is Professor of Computational Social Science at the Department of Humanities, Social and Political Sciences and affiliate of the Computer Science Department at ETH Zurich.